What can I say! Diane Chamberlain has again written another very engaging story with The Stolen Marriage. I was soon transported off into story land and really enjoyed the read. Tess is a beautifully compassionate heroine who finds her self in a spot of bother. We are talking back in the 1940’s when to become pregnant outside marriage was something to be hidden. When she tells the man who was responsible alongside herself he does the decent thing and offers marriage to which she agrees. And leaves behind the love of her life, Vincent. Does she really know her husband Henry (Hank)? Lucy his sister would say no. And she doesn’t. But as time goes by she learns more and finally learns the truth. I saw part of it coming, but oh no, I did not see the totality of it, so the final reveals were full of thrills. The polio epidemic was fascinating as I am old enough (sigh) to remember those fearful times, and can remember being made to rest as a young child after lunch to stay in good health. Then of course came the wonderful medicine we swallowed and were given immunity. I can also remember devouring the book Over My Dead Body by June Opie as a young teen, so this aspect of the story really engaged me. The minor characters added to the flavour of the book, the township of Hickory in North Carolina, the issues of racism, and the part of Reverend Sam all added the the mix to make this book such a wonderful story. I liked the growth of Tess and applauded every stand she took to choose her own life. I liked Vincent and his approach and yes really liked Henry too. Diane Chamberlain has again spun an engaging tale that had me springing up off my chair and shouting “Yes”! at one point. Fifteen-year-old Andy Lockwood is special. Others notice the way he blurts out anything that comes into his mind, how he cannot foresee consequences, and that he’s more child than teenager. But his mother sees a boy with a heart as open and wide as the ocean. Laurel Lockwood lost her son once through neglect. She’s spent the rest of her life determined to make up for her mistakes, and she’s succeeded in becoming a committed — if overprotective — parent. Still, she loosens her grip just enough to let Andy attend a local church social — a decision she regrets when the church is consumed by fire. Before the Storm is the first of two in a series by Diane Chamberlain. It was a little like the couple of other books I have read by this author. Surprises along the way that some of the characters know, but not all of them. Lies, deceit and infidelity wend there way through the story. Laurel after the birth of her first child Maggie, sank into depression and then into alcoholism. While in that state she fell pregnant and so Andy is born with Fetal Alcohol Apectrum Disorder (FASD). Later when she has recovered and regained the care of Andy she devotes herself to his upbringing and care. It was very interesting to see how Andy is and the challenges inherent in raising him. He takes many things literally and needs help with ordering his life. He is a loveable character, although it is heart breaking to see how he is belittled by peers. Maggie is a little older, supposedly the one who can be relied on, a successful student and responsible sister. She misses her Dad, who died when she was eight, and with whom she bonded early in life, during those years when Laurel was unavailable to her. How has that all affected her? Well let’s just say Laurel is in for a few surprises. Marcus is the brother of Jamie – Lauren’s husband and Maggie’s and Andy’s father. Growing up in their family of origin, Jamie was the favoured son, Marcus the black sheep. But are people really all black or all white? They might be treated as such but in actuality it is rarely so. So what secrets do these brothers hold? As well involved in the story is Sara, sort of a back seat character, not very much present in the story, yet at certain times a key player. Sara and Lauren are close friends, well supposedly, maybe they are, maybe not. I think I will hold that question until I read the book that follows this one to make my mind up. This is a story of mistakes and wrong turnings, however it does hold the promise of new paths and possibilities. I’ll be looking forward to reading on, to find out what takes place for these characters a little along the road. A loving mother and wife, Annie O’Neill was the heart of the small community of Kiss River. But her generous nature hid a darker side that remained secret for years after her tragic death. When Lacey O’Neill finally learns the shattering truth about the mother she’s spent a decade emulating, the foundation of her life begins to crumble. Then her close childhood friend dies, leaving her teenage daughter, Mackenzie, in Lacey’s care, and Lacey unwillingly finds herself in the role of mother. 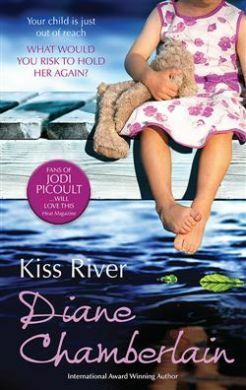 Uprooted by her mother’s death, Mackenzie resents her new home of Kiss River. 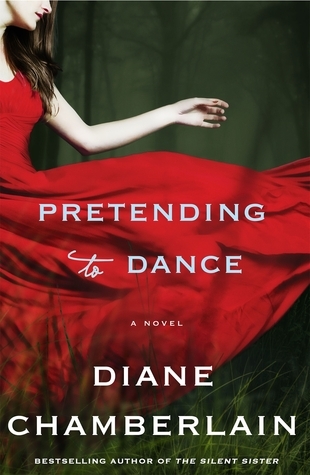 She wants nothing to do with the father who never knew she existed–and especially not her mother’s oldest friend. But the person who could understand her best might be the one she resents most: Lacey. Her Mother’s Shadow is the third novel in the Kiss River trilogy by Diane Chamberlain. These three books interlinked in many ways, and it is certainly one trilogy where it would be best read from the first book. Events that were introduced in Keeper of the Light, were further explored and taken further than I anticipated. 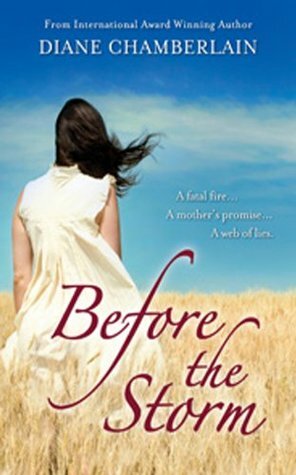 This book centres on Lacey, she was a witness to her mother’s murder, she looks very much like her mother did, has become a glass artist and is just recovering from being like her mother in another way that ultimately is destructive. She has the support of her brother and his wife Gina. They were the focus of the second book Kiss River and it is wonderful to see them married and enjoying their delightful daughter. Lacey is thrown into a turmoil when her best friends dies in a road accident and she leaves Mackenzie to Lacey’s care. Lacey does not really know Mackenzie and it is a difficult relationship that has to be negotiated. Mackenzie does not have a father but Lacey has always believed it to be a Bobby who hung with them as teenagers. She decides to let Bobby know and he comes to visit. Will he be the same wild person that Lacey remembers? Also there is Rick a man that has come to spend the summer in a cottage and write a book. He and Lacey spend time together, but is he who he appears to be? There are many mysteries that slowly unravel in this book. I loved how gradually all the secrets change things as they become known. Generally as the reader we became aware of how things were working out before some characters and this worked surprisingly well. I loved the relationships among all the characters – how they grow and change. Through it all there is a sense of family, love and forgiveness. A very fitting ending to a story of a family over three books. Loved it. Riley MacPherson has spent her entire life believing that her older sister Lisa committed suicide as a teenager. Now, over twenty years later, her father has passed away and she’s in New Bern, North Carolina cleaning out his house when she finds evidence to the contrary. Lisa is alive. Alive and living under a new identity. But why exactly was she on the run all those years ago, and what secrets are being kept now? As Riley works to uncover the truth, her discoveries will put into question everything she thought she knew about her family. Riley must decide what the past means for her present, and what she will do with her newfound reality. Riley is the youngest in her family, with about 15 years between herself and her older sister Lisa, who was thought to have committed suicide when Riley was only 2 years old. She has no real memory of her. Riley begins to put her father’s estate in order after his death, and then one discovery after the other happens. The old couple in the RV park – why was her father paying Tom Kyle $500 a month? Tom’s wife Verniece tells Riley something she just can’t believe. Real estate agent Jeannie Lyons, turns out to be a lot more than just the real estate person helping her deal with winding up the estate. Riley is close to Danny her brother, older by about 5 years than her. He lives in an old trailer in the RV park. He is a war veteran and is grouchy to say the very least. He can’t cope with helping Riley to close the estate. After his sister went missing he grew up in a home that held tension and he is angry with his father. However he has a soft, tender spot for Riley – this is the relationship I liked most in the book. He helps her out at crucial times, and while he is a lose cannon in many ways, my heart ached for him. The book alternates between Riley and her sister Lisa, and if you’ve read the summary, her suicide was faked. But who was involved? Who knew what? How did Lisa fare after this? Gradually we are let in on her story and we are drip fed clues that are significant. Her story is every bit as compelling as Riley’s one. Lies, secrets, murder, abuse have taken a toll on every member of this family. Riley is desperate to find family, she feels so alone, Lisa’s heart aches for different reasons. Others are slammed by the shock of revealed secrets they knew nothing about. 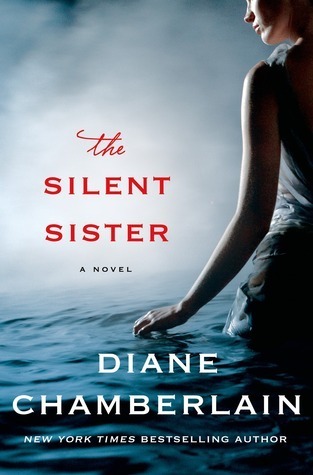 The Silent Sister was a well crafted story, clues revealed slowly, viewpoints had to be weighed up – who was telling the truth? The book was very well paced and written in a way that meant I couldn’t leave it down for long. Your future is within your grasp. How far are you willing to go? Your adopted child is in an orphanage. Only you can save her. But you need money, a lot of money, money you just don’t have. Kiss River follows on from The Keeper of the Light. This book introduces a new character – Gina – a teacher from Washington state. She has travelled right across the country to the east coast. Gina is looking for money – but finds in the end something far more valuable. On her first night she meets Clay O’Neill who invites her to the Lightkeeper’s House that he and his sister Lacey are living in while they do it up. We met Clay and Lacey in the previous book, they were the son and daughter of one of the main characters, being only teenagers when their mother died. They know a partial truth about their mother, but not the whole truth. It was interesting to see that Lacey has taken on all the characteristics of her mother – good and not so good. Gina wants to recover the lighthouse lantern that has been blown into the sea many years ago during a storm. Alec – Clay’s dad is still against the idea of seeking it out and raising it up from the seabed and while he discourages it nobody in the town is going to help Gina. Gina has a special reason for wanting to raise the lantern, one she is not sharing to begin with. When she does Clay feels she has been dishonest from the beginning. They have begun to build a relationship that will be life giving for both of them – if it can work out. Alongside the story in the present there is one that travels along in 1942. Gina has a diary with her that tells of Bess (who was mentioned in the previous book – but was off stage!) the story of a young girl caught up in the war and a relationship. Gradually how that unfolds and its relevance to the present becomes clear. I was not quite so gripped by this story as in the previous book, however I was still engaged enough to want to find out how characters were linked and where the story would end. I certainly want to read the next one to see how Lacey fares. And no doubt there may be a little more about Gina and Clay and how their story is developing. Dr Olivia Simon is on duty in a hospital emergency room in North Carolina when a gunshot victim is brought in. Midway through the effort to save the woman’s life, Olivia realises who she is – Annie O’Neill – the woman that Olivia’s husband, Paul, is in love with. When Annie dies on the operating table, Olivia, Paul and Annie’s husband, Alec, are left to pick up the pieces. 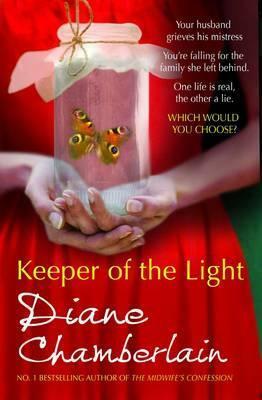 Keeper of the Light is the first book that I have ever read by Diane Chamberlain. I must say I liked it very much and will be seeking out other books that she has written. About ten years after writing Keeper of the Light, Diane Chamberlain went on to write two more books and it became a trilogy. I will be seeking out these books at some point as they follow on and include a couple of the characters that I really liked – teenagers in this book, Lacey and Clay O’Neill. Most of the characters in the story have a past. Olivia has a terrible upbringing, with a mother who was an alcoholic and brothers who let her down at a time when she needed them most. At fourteen she runs away from home to one of her teachers. She is very confident in the emergency room, but not so confident anywhere else in her life. She has married for love, but lately her husband has shared about how entranced he is by a woman – Annie O’Neill. Annie is married to Alec who is utterly devastated by Annie’s death. Annie too has had a difficult past, she is the child of rich parents who really saw her as a nuisance, someone to throw money at but never gave her time or love. So it was important for Annie to know she was loved. She loved to give, and was known locally often as Saint Anne. Did she have any shadow side to her? Well that’s what makes this book so interesting. Annie’s death not only throws Alec, of course Paul – Olivia’s husband is also grieving. And then there are Annie’s two children Lacey and Clay. Clay seems to be managing but Lacey is really finding it difficult and the behaviour she engages in says it all. The only problem her father is so wrapped in his own grief he doesn’t notice. How I felt for Lacey when her birthday passes unnoticed. So happy I will have the opportunity to catch up with some of the characters again – and soon!